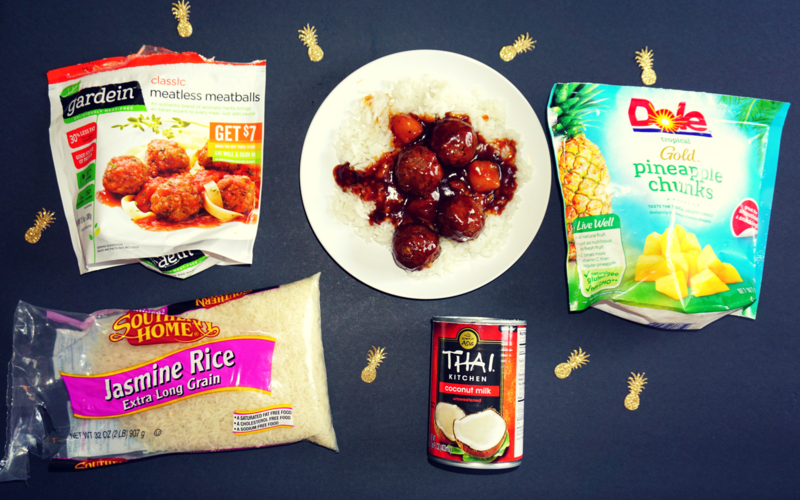 Add Vegetarian Pineapple Meatballs to your Meatless Monday collection! As a vegetarian married to a non-vegetarian, I know how important is is to find delicious meatless recipes. 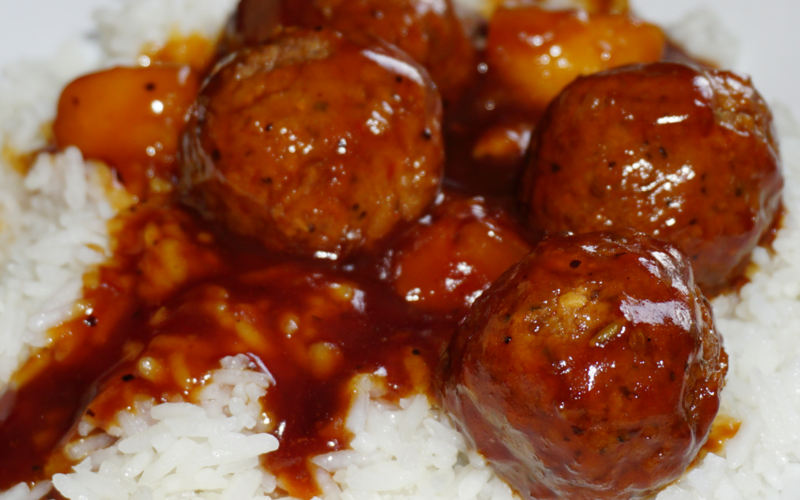 Gardein Meatless Meatballs are our absolute favorite vegetarian meatballs and they are shockingly easy to prepare. 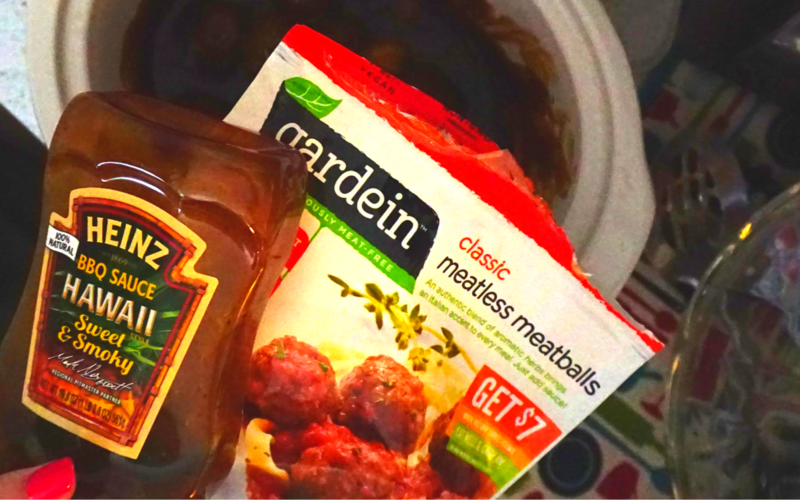 They are great for spaghetti and can easily replace just about any meatball dish. Even though summer is coming to an end soon, I think meatballs are a perfect fall dish too since they are often used in tailgating recipes. I am also a huge fan of anything that can go into the crock pot. 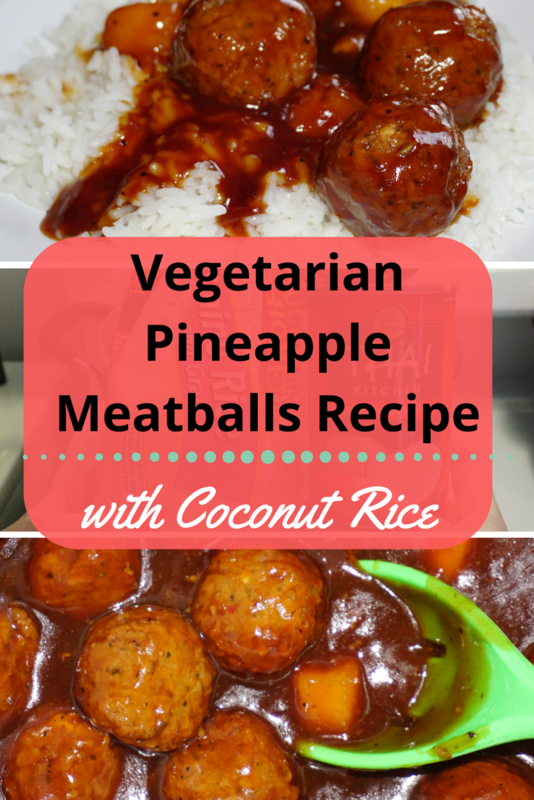 When browsing through Pinterest, I spotted this delicious looking Pineapple Meatballs recipe by Jenn’s Blah Blah Blog. Plus, I had recently saved this Ahead of Thyme recipe for Coconut Rice. 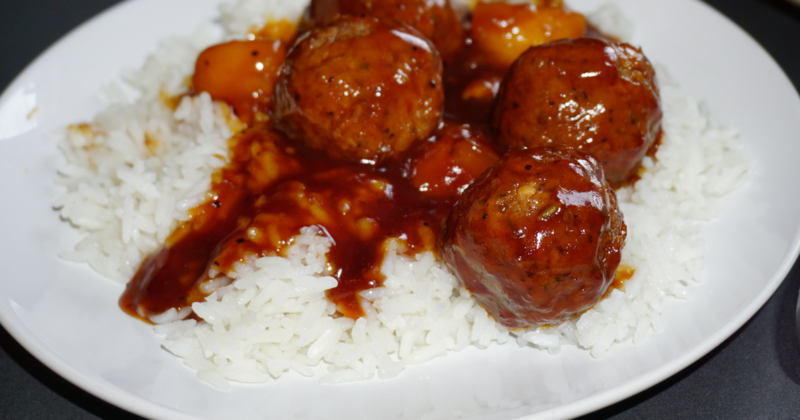 I decided to try out the Pineapple Meatballs with the Gardein Meatless Meatballs over Coconut Rice. I have to say, I definitely have a new favorite recipe! My variation leaves a few things off, such as I just used a bottle of BBQ sauce instead of using homemade sauce. I also did not add sugar to the rice. Either way you decide is sure to be delicious! Cook on high for one hour, then on low for another hour or as long as you need to keep warm before eating. Follow directions on the bag to cook the rice and salt to taste if you want (I didn’t add salt to mine). This easy Bananas Foster Piña Colada drink recipe is the perfect after dinner dessert drink!